Central Oregon Trail Alliance | Stahancyk, Kent & Hook P.C. The Central Oregon Trail Alliance (COTA) is a non-profit organization that works with the Forest Service and Bureau of Land Management in Central Oregon. The COTA focuses on the mountain bike trails in our community and works throughout the year to maintain and make sure the trails are safe for the riders. Right now, there are currently 35 mountain bike trails that are open to the public, some of which are not recommended for use due to needed maintenance. COTA is hoping to continue to increase the amount of trails available. COTA is also in the process of creating more beginner trails around Central Oregon. The Crook County chapter of COTA is hoping to eventually have trails that allow you to ride from the Ochoco National Forest to Smith Rock. Another goal they have is to allow people to vacation in Central Oregon and theoretically be able to take their bikes off their car and not need to put them back on until they leave. COTA receives funding through local events and donations. 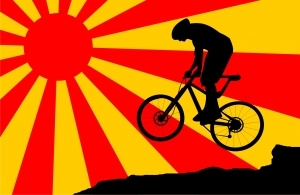 This month, they host the Bend Bicycle Film Festival, scheduled for May 22, 2013, at the Tower Theater in downtown Bend. The cost is $12 in advance and $15 at the door. COTA also has a monthly membership meeting on the last Thursday of every month. If you’re interested in joining, this is the meeting for you to attend.